2018 – Bill & Joe take a spin on HSL 102! Home > News & Events > 2018 – Bill & Joe take a spin on HSL 102! 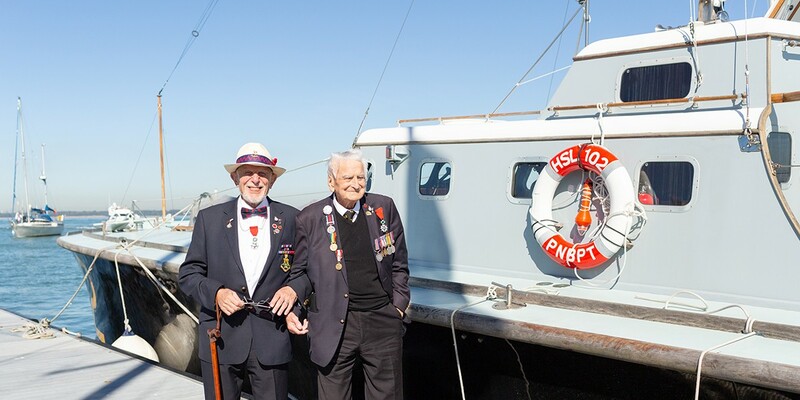 On the 28th of September Normandy Veterans Bill Pendell & Joe Cattini were invited by our friends at the Portsmouth Naval Base Property Trust (PNBPT) to take a spin across the Solent on restored WWII HSL (High Speed Launch) 102! They were accompanied by their daughters Fay & Fran and a few other “hangers on”, including Victoria who was thrilled to be invited along. 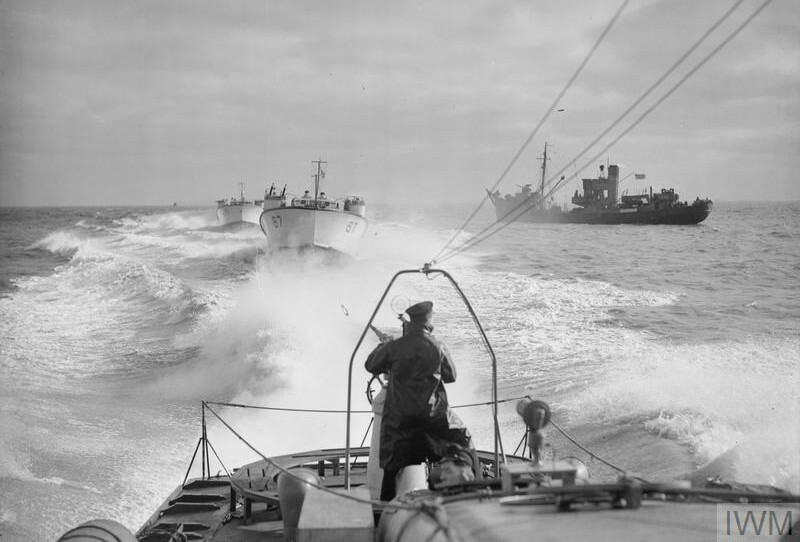 Like MASB 27, HSL 102 was one of the Royal Navy’s ‘Coastal Forces’ craft operating predominantly in the Channel and the North Sea in the months leading up to D-Day. They were also deployed in the Mediterranean and along the Norwegian coastline, as well as playing key roles in the raids of St. Nazaire and Dieppe. They were used to attack German convoys and also carried out clandestine operations; delivering secret agents into and out of Norway and France. These boats were built at Hythe in Hampshire and represented pioneering technology. They were known as the “Spitfires of the Sea” or affectionately (after the famous Dunkirk evacuation coined the term) as the Royal Navy’s “Little Ships”. 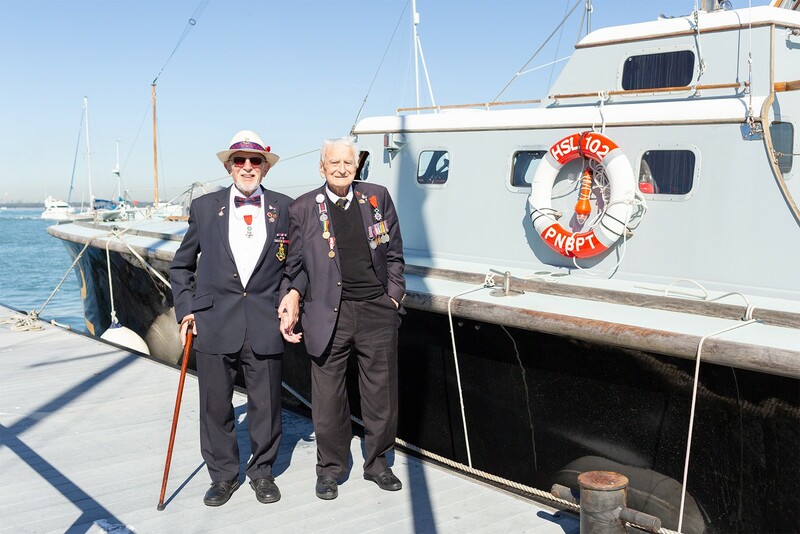 The young men who crewed the Coastal Forces craft were responsible for life-saving work, often in appalling conditions. Traveling on these boats was like riding on a massive petrol bomb. With 3000 gallons of fuel on board, if they were hit in the fuel tank they simply exploded! As these vessels were of timber construction and had no real armament defence they were extremely vulnerable and many crewmen paid the ultimate sacrifice. By 1944 Coastal Forces numbered 3000 officers and 22 000 ratings. Altogether there were 2000 British Coastal Forces craft. They fought over 900 actions and sank around 400 enemy vessels, including 48 E-boats and 32 midget submarines. They fired 1169 torpedoes, shot down 32 enemy aircraft and carried out many mine laying operations. 170 of these “Little Ships” were sunk or destroyed. HSL 102 was stationed at RAF Calshot during the Battle of Britain, retrieving shot down airmen from the sea. Throughout the duration of the war, HSL vessels saved a total of 10 000 airmen of many nationalities. The first Coastal Forces headquarters was set up at HMS Vernon in 1940 under Rear Admiral Piers Kekewich. The Chief Staff Officer to the Rear Admiral was Augustus Agar VC, who had commanded coastal motor boats during World War I and in British operations in the Baltic Sea in 1918 and 1919 in support of White Russian forces during the Russian Civil War. Arriving in Cowes the group was privileged to be invited to lunch at the Royal Yacht Squadron, hosted by Rodney Agar – nephew of the WWI legend. It was a wonderful day, much enjoyed by all who attended and a huge thank you goes to Rtd. Rear Admiral Neil Rankin CBE and Peter Goodship for their generous invitation. 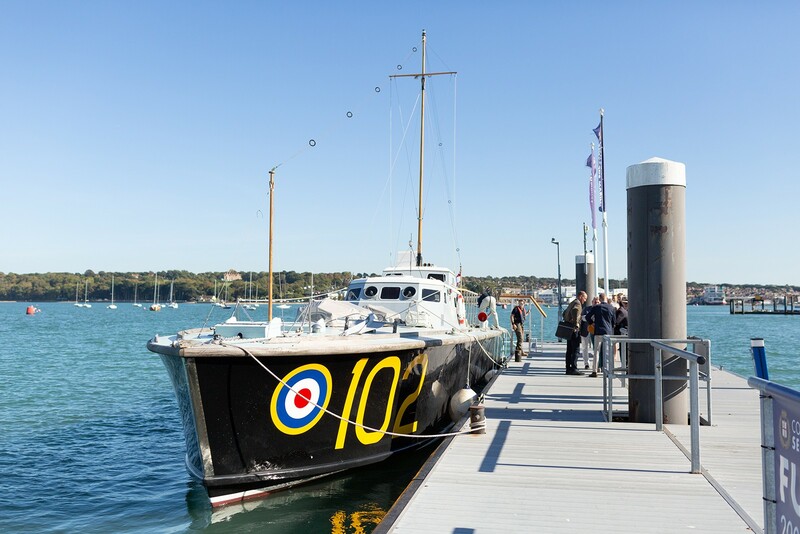 We can’t wait to see MASB 27 fully restored and on the water with her fellow Coastal Forces veteran vessels next year to commemorate the 75th anniversary of the D-Day Landings.